The KCTS held its AGM Oct 24th. There was a good turnout and we had an election for 4 board positions. 3 or 4 directors seats will be up for election. The KCTS needs a strong and enthusiastic board so please consider putting your name forward. The current board is also concerned about its lack of diversity - we're mostly male mountain bikers. We would like to see representation from women and other trail users. Beer and food will be provided at the social after the digging. We will be working on removing the last road section of the 7 Summits trail. Meeting at the Cascade Summit. It is time to join the KCTS or renew your KCTS membership! 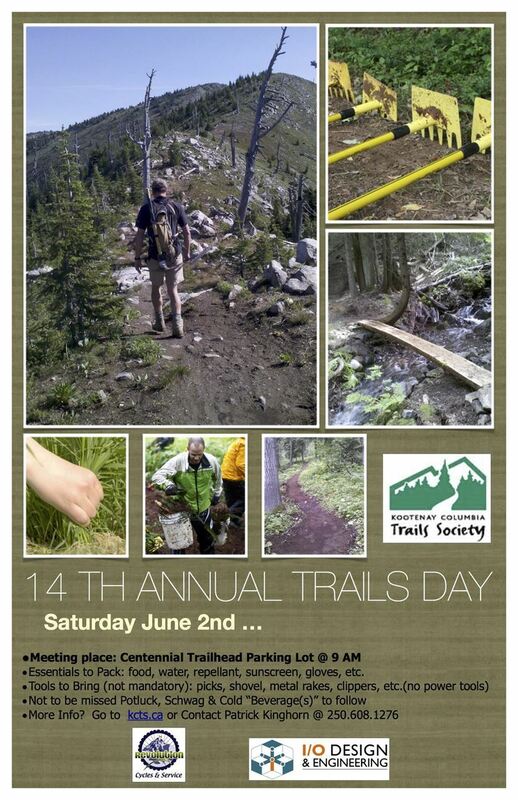 Show your support for our trails and the funding required to build and maintain them by joining the KCTS. We have draw prizes donated by our excellent business community to encourage you to renew or become a KCTS member. The draw will be for members only (including lifetime member) and will take place May 1st. There are 2 of these to be won. There is 1 of these to be won. There are 3 of these to be won. Thanks to the businesses that donated prizes. Meeting starts at 7 pm. Please attend if you would like to get involved or are interested in finding out what the KCTS does. Please be aware that trees are falling due to heavy snow load and there are downed trees on the trails. Use caution. Note that the KCTS does not maintain trails in the winter. Thanks to all that came out to the AGM. The KCTS has a full board.